Is there any paperwork or document for the mechanical systems of 47 Petch Cres, Aurora, Ontario? I need more information about the property at 47 Petch Cres, Aurora, Ontario. 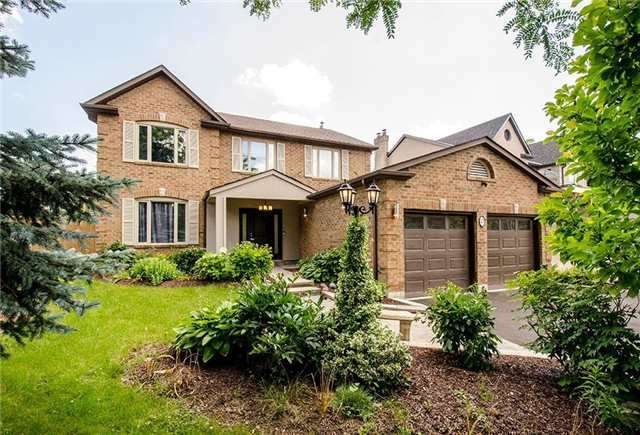 How ist the neighborhood, location and nearby amenities for 47 Petch Cres, Aurora, Ontario? I have questions about the roof, foundation, insulations and mechanical issues of 47 Petch Cres, Aurora, Ontario? I need more information about property details. What's wrong with this house? Is this a short sale? Is there any maintenance for 47 Petch Cres, Aurora, Ontario? What is this property worth in today's market? What are "closing costs", and how much? What steps should I take when looking for a home loan? What price home can I afford? Is my credit good enough to buy this house? What are the best mortgage options for me? How flexible is the seller on the asking price? How low can I consider offering for 47 Petch Cres, Aurora, Ontario? The Possibilities Are Endless. A Meticulously Maintained Family Home With Generous Principal Rooms & Numerous Updates In Family Neighbourhood Of Aurora Highlands. Large Kitchen With Caesarstone Countertop. S/S Appliances. Spacious Master Bedroom With Walk-In Custom Closet And 5Pc Ensuite Bathrooms. Private Backyard Oasis With Manicured Garden And Low Maintenance Heated Pool. Theatre Room And Game Room, Wet Bar In Basement. S/S Fridge,Gas S/S Cooktop,S/S Dishwasher,S/S B/I Microwave & Oven.Washer & Dryer.Heated Low Maintenance 3 Yrs Pool.All Window Coverings,All Electrical Fixtures,Pot Lights T/O The House,Wet Bar,Hot Water Tank Is Rental.Hot Tub Is Excluded.